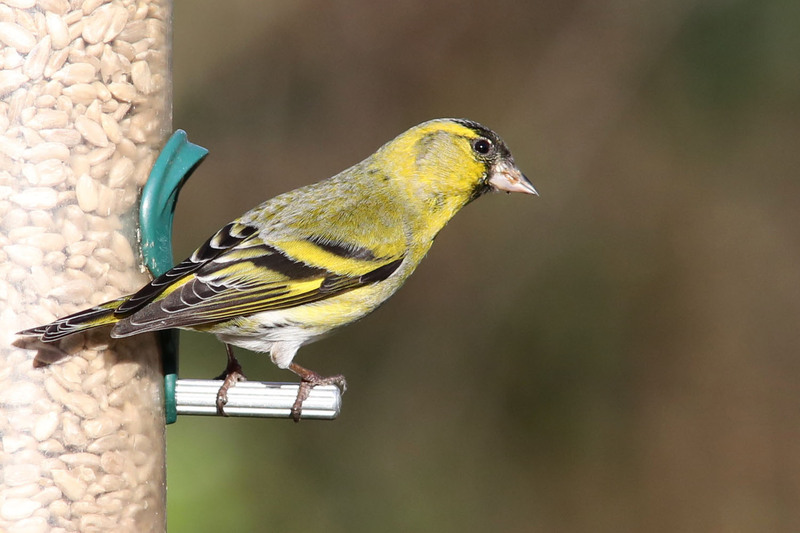 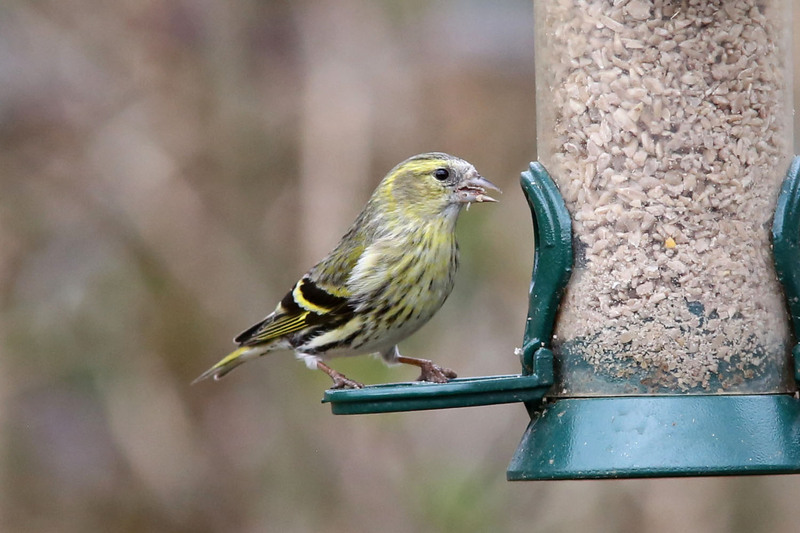 The Siskin is a finch and like its cousins the Redpoll and Goldfinch will happily take seed from the nyger feeder. 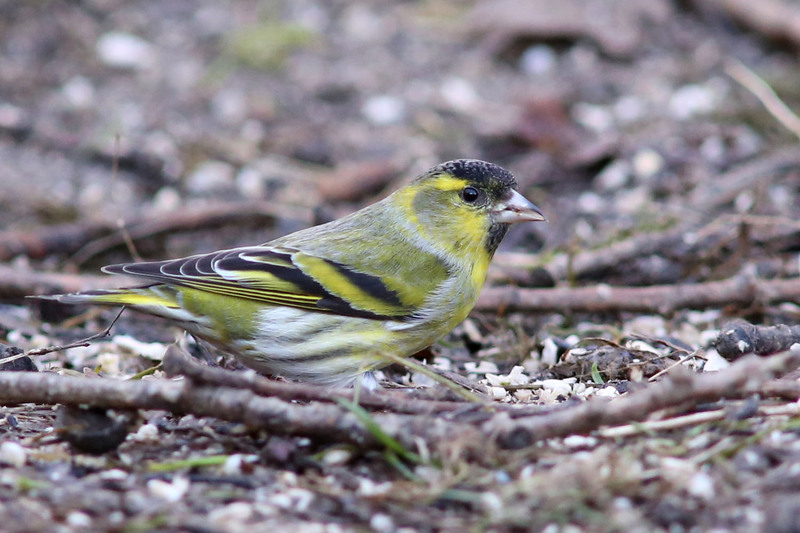 Less common in the South where it is more likely to be seen in the Winter. 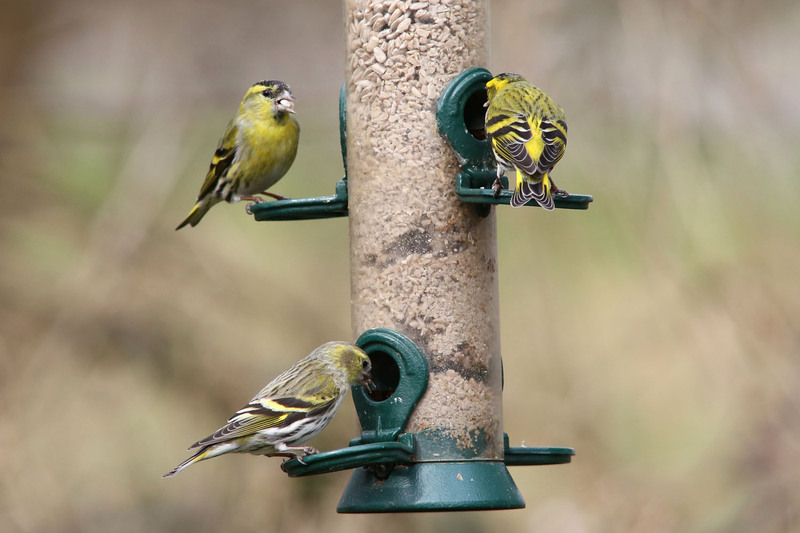 The male has a distinctive black cap which the female lacks.